Victorians seem to be extremely passionate about the Murray River, they always talk about the area so fondly. Since I met Dixie he is always reminiscing and telling me stories about the river, his mates house boat and ski racing. I am sure some of these tales grow taller! 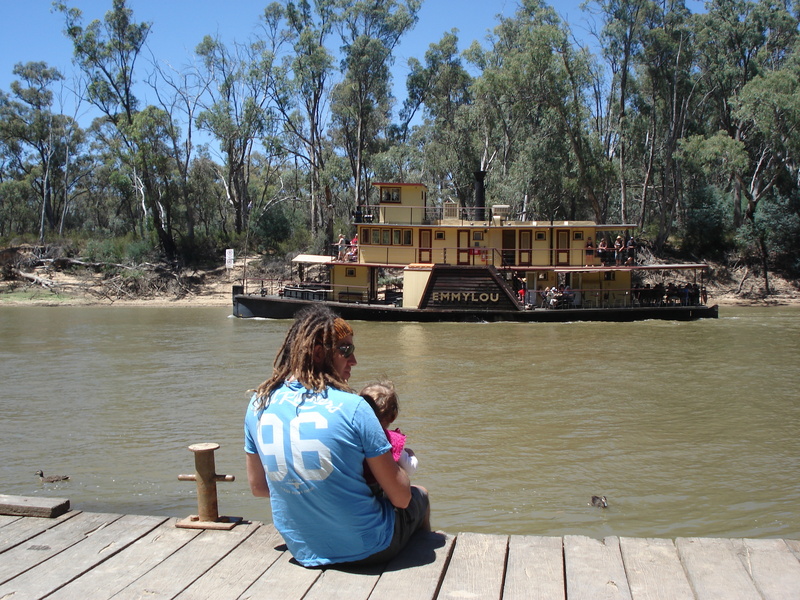 I had to check out the good old Murray River for myself so we headed to Echuca which is the closest town from Melbourne located on the banks of the Murray. 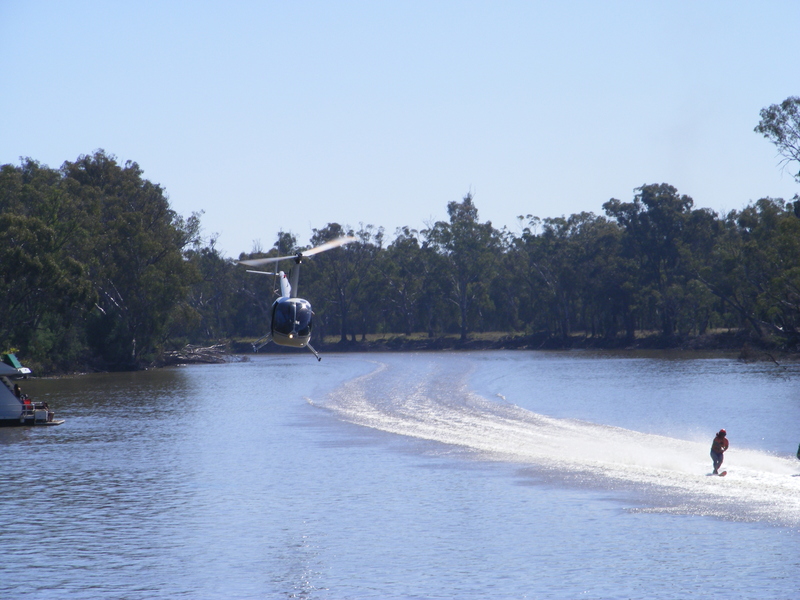 It is Australia’s longest river, it spans over three states, Victoria, New South Wales and South Australia. In the 1800’s it was the busiest inland port with paddle steamers ferrying supplies along the river. 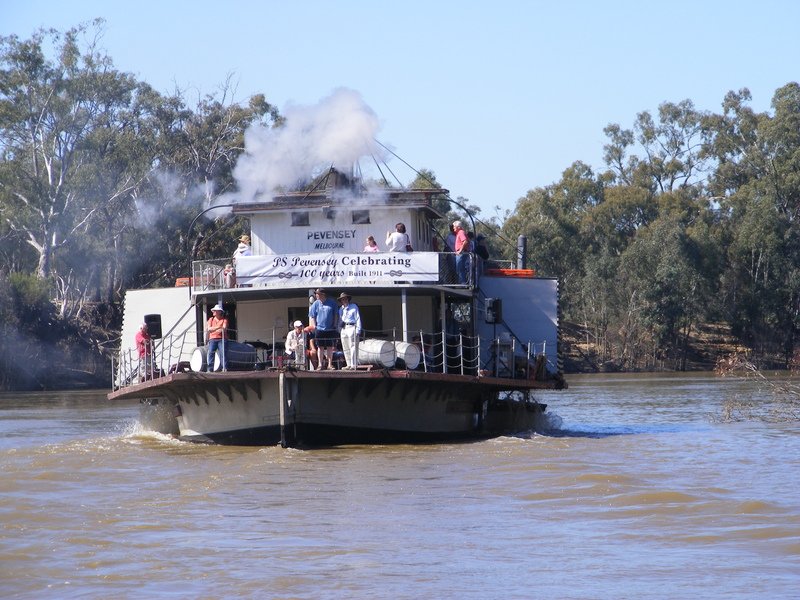 These paddle steamers are now one of the main attractions in Echuca so naturally we took a ferry ride down the river. Visiting the Port at Echuca is like stepping back in time with its old buildings and wharf. On board the PS Canberra Paddle Steamer you can easily explore the boat, watch the paddlewheels turn from the viewing windows and see the engine at work. It was a relaxing peaceful ride taking in the view as we slowly made our way the river. The Southern 80 was on while we were there which is a water ski race carrying one driver, one observer and two skiers. 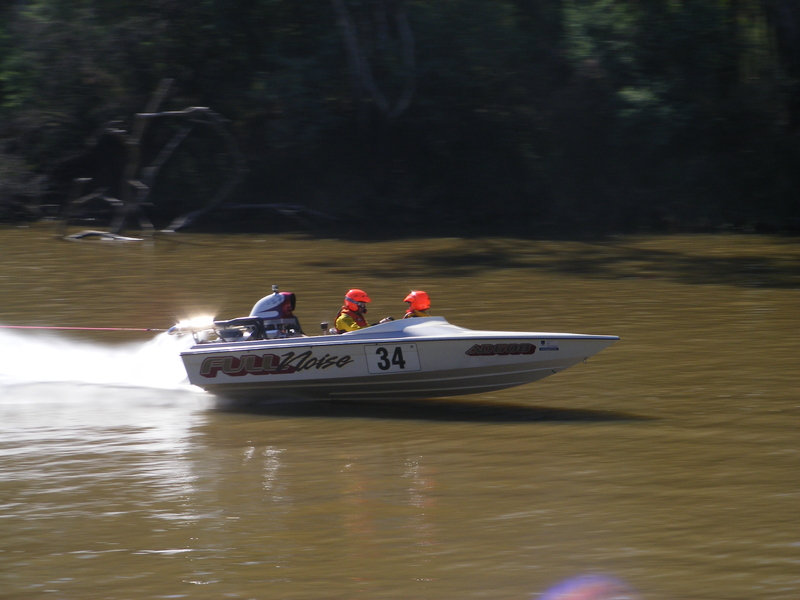 The race goes between Torrumbarry and Echuca and boats travel at speeds in excess of 200 kilometres per hour through 126 hair raising bends. We watched the race perched up on the roof of a friends house boat, I love listening to the roar of the boats coming down the river and the excitement of the spectators looking out for their friends boats. How the skiers can hold of for that long at such speeds I will never know. What I enjoyed the most was watching the helicopter flying just above the competitors to get footage, it really was a spectacular site. We also went out on Dixie’s family boat and he showed me how to do a bit of wake boarding. As I was pregnant I didn’t get a chance to have a go but hopefully next time I can give it a crack! 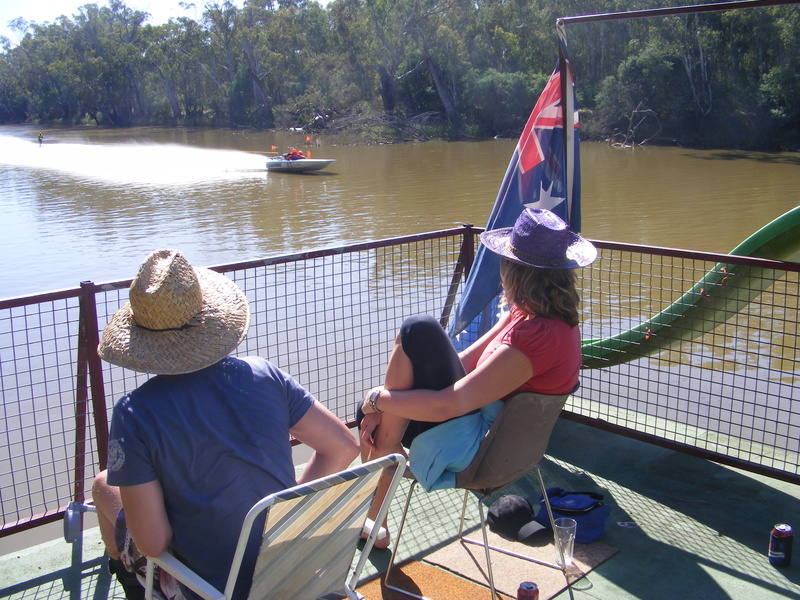 I thoroughly enjoyed my time on the Murray River but I am not as passionate about the place as my fellow Victorians. 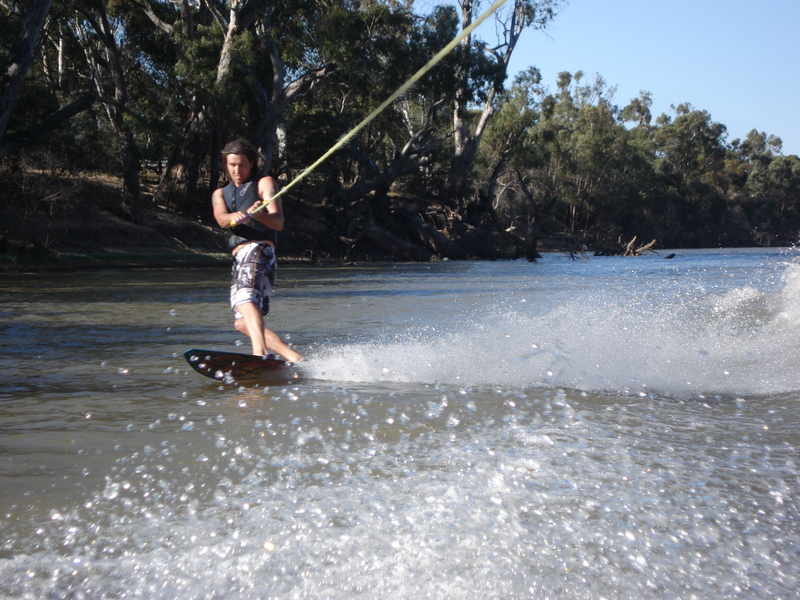 Is it because I didn’t grow up having family holidays on the Murray? Is it because I am not a skier? Or is it because Dixie does not stop talking about the river? What ever the reason I would still return for a holiday so I guess I must have enjoyed it! Sounds like a nice trip, I haven’t been but your photos remind me of the Southern USA. If I visit my friend who moved to Melbourne, I’ll have to ask him if we could take a trip to the Murray River. Looks like a fun and relaxing time. I am sure you would have a great time! Spending time on a river does seem to require a certain mindset. They generally evoke a slow, easy pace which I need a lot more of in my life! Thanks for recently visiting my blog and have a great weekend!